IQ Bot is cognitive automation that learns as it processes by observing people at work. With an unwavering focus to improve, it develops your subject matter experts, increasing the speed and accuracy of your processes at scale. The endpoint is often easy to define. But where you begin can have a profound impact on how quickly and efficiently you get there. 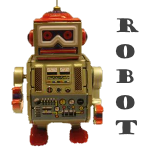 IQ Bot sets up and enriches your starting points to make your RPA even more effective. IQ Bots keep learning - with or without supervision - to handle unstructured information that feeds your automated processes. Selenium is an umbrella project encapsulating a variety of tools and libraries enabling web browser automation. Selenium specifically provides infrastructure for the W3C WebDriver specification -- a platform and language-neutral coding interface compatible with all major web browsers. The project is made possible by volunteer contributors who've generously donated thousands of hours in code development and upkeep. Make automated testing more efficient and help developers and testers collaborate with this functional automated testing software. JSystem is an open-source framework for writing and running automated software tests, for both software and embedded applications. The aim of JSystem is to provide one simple central framework for functional and system testing of software. A unique characteristic of JSystem is its simplicity and scalability: the JSystem architecture comprises of four layers, with a clear distinction between the underlying business logic of the test and the graphic user interface (GUI). The JSystem structural design affords true scalability to the testing project: as the product evolves the user can build additional tests based on the original solution - without the need to rewrite tests: a mark of a truly sustainable testing project. SilkCentralTM Test Manager is an open test management solution which unifies all test assets into one easy-to-use planning, tracking, reporting and execution hub. It is a powerful, open software test management solution for both agile and traditional development projects. It provides an integrated framework for improving productivity, traceability and visibility for all types of software testing. Its openness, flexibility and traceability make it a solution for agile or traditional delivery approaches looking to implement a continuous approach to software quality. Where all Logic Ends.. Magic Begins..
TestMagicTM Suite is Software as a Service (SaaS) compliant, innovative, intelligent, multi-lingual and inexpensive Test Automation Enterprise Solution. TestMagic is capable of Automating User Interface (UI) and Non-UI-based applications such as complex Service-Oriented Architecture (SOA) applications. The Unique Selling Point (USP) of TestMagic Suite is that the automation testing can be achieved by anyone, even if he or she has no background of computer programming languages. Automated functional, stress, and load testing. All in one tool. QA Wizard Pro automates the functional and regression testing of web, Windows, and Java applications, and load testing of web applications. Using a single application to perform both functional and load tests reduces your software investment and training time, and helps your team test more of an application in less time. Information Technology is no longer what it used to be. Software technologies continue to become more diverse and complex. Test automation solutions, hence, have to cater to cross-platform solutions to reduce the cost of tiresome, time-consuming, inefficient manual testing process. Software products today have short lifecycles and increased complexity. Combine these with rising demand for high-quality products, and you will perceive the sudden demise of obsolete testing standards and technologies. MSys’s innovative, prepackaged test automation solutions and frameworks will help you reduce the complexity of automation, deliver efficiency, save money, and improve the quality of your applications. Axe is a test automation platform that greatly increases productivity and drastically reduces maintenance overheads for test automation. It uses a simple spreadsheet like interface as a means to define test scenarios and code generation techniques to rapidly generate robust, self-documented automation code. Axe is unique and proven in enabling automation in an Agile environment. 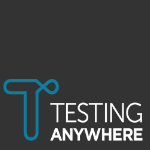 Mobile Labs Trust streamlines and automates functional and regression testing of mobile apps. The solution also improves app quality and helps to increase app adoption rates. Mobile Labs Trust’s native object-based scripting lets testers interact with individual native mobile objects, their properties and methods rather than a single app-view or page-view. Through direct, on-device interaction with the mobile app under test, Mobile Labs Trust facilitates automated object definition by providing a precise inventory of objects and properties directly to QTP’s Object Repository tools. Freshen is an acceptance testing framework for Python . uses the (mostly) same syntax as Cucumber. Why copy Cucumber? - Because it works and lots of people use it. Why use Nose? - Because it works and lots of people use it and it already does many useful things. No need to spend time in re-implementing coverage, profiling, test discovery, and command like processing again. Freshen supports 30 languages, exactly the same as cucumber, since the "language" file was borrowed from the cucumber project. As long as your .feature files respect the syntax, the person in charge of writing the acceptance tests may write it down. Verifaya Studio is a 100% "script-free" test automation platform", which enables testers and business users to rapidly automate native, hybrid & browser apps for desktops. Verifaya Studio enables automation of native, browser & non-UI based apps on desktops. Testers can focus on Strategic Testing + Automated Regression that helps companies to uncover more business critical defects. A centralized database, built-in framework and accelerator wizards dramatically reduce the maintenance effort and enable the effective use of automations in an agile development world. UA Studio is a fully visual tool for defining application objects. UA Studio is a fully visual tool for defining your application objects. Users point and click to capture Snapshots which contain all of the intelligence required to expose and organize application objects and attributes. It offers a universal agent for automated testing, providing superior object recognition, faster throughput and the most robust runtime stability available. DARTENIUM is a robust off-the-shelf automation framework based on the open source testing tool, Selenium, for Agile testing of web-based applications. It provides complete control over the automation process while freeing you from the tedious, complex tasks involved in manual testing. DARTENIUM enables testing across multi-OS and browser combinations. It also has a robust execution engine in the form of the 'Scheduler' that allows multiple test instances on the same machine as well as parallel execution on multiple machines.